When Larry O'Ryan decides to become a burglar he attends night school to study ballistics, then secures a job at a safe-maker's. After three successful robberies Larry is caught by Mr J G Reeder. An unlikely friendship develops and on Saturdays they can be seen together at the British Museum or the Tower. One day Larry rescues Miss Lane Leonard, daughter of a millionaire. The disappearance of one and a half million pounds in gold bullion and a series of bank frauds baffles Scotland Yard. 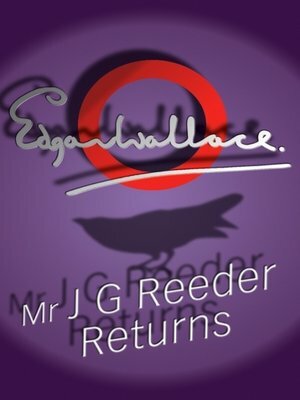 But not Mr J G Reeder.